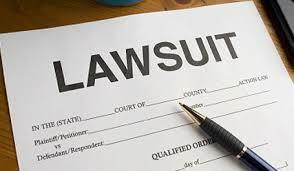 A Muldrow High School graduate has filed a lawsuit against the school and former teacher Julie Boshers and is asking for an amount in excess of $75,000, plus damages, interests and costs. School officials said they cannot comment on pending litigation. The petition continues, “Brown was physically assaulted at school on multiple occasions after the bullying had been reported. “The continued bullying and harassment caused George Brown to become depressed, and experience severe anxiety and stress. The lawsuit also alleges that on Sept. 29, 2016, he was assaulted by Julie Boshers’ son, on school grounds, while she was the teacher on duty. Criminal charges related to the incident were later filed against Julie Boshers but were then dropped. The lawsuit was filed on behalf of Brown by attorney Jeff Edwards of Flynn, Edwards and O’Neal of Roland. 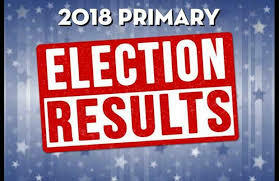 Election results are for Sequoyah County Precincts only. Results are not official until certified by election board. with big hugs from her children Olivia and Sam upon her return. Cherokee Nation citizen Autumn Lawless and Eastern Band of Cherokee Indians citizen Darius Lambert lead fellow Remember the Removal Bike Ride cyclists down Water Avenue in Tahlequah as the cyclists complete the three-week Trail of Tears memorial ride. Cyclists from the 2018 Remember the Removal Bike Ride arrived in Tahlequah Thursday, finishing their three-week trek that retraced the northern route of the Trail of Tears. The ride started on June 3 in New Echota, Ga., the former capital of the Cherokee Nation prior to forced removal to present-day Oklahoma. Cyclists from the Cherokee Nation and the Eastern Band of Cherokee Indians rode nearly 1,000 miles through portions of seven states. 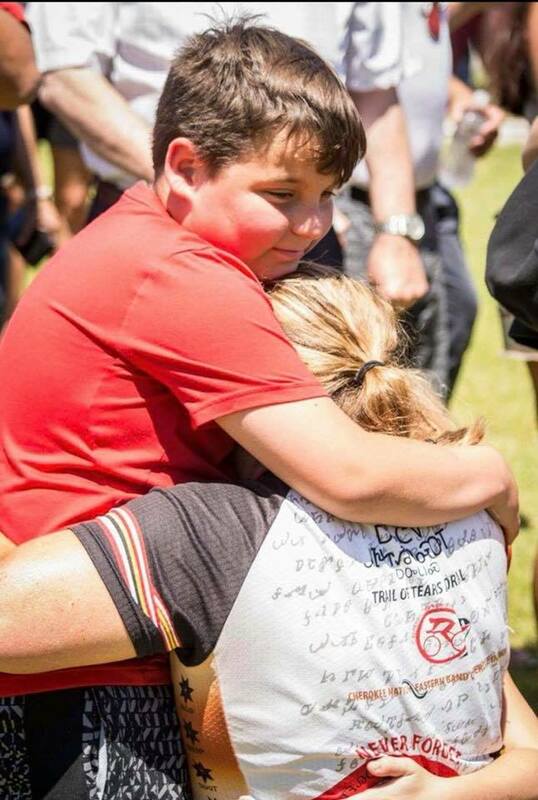 The Cherokee Nation held a return ceremony at the tribe’s new Cherokee National Peace Pavilion in downtown Tahlequah on Thursday, where tribal leaders, friends and family gathered to greet the returning cyclists. The original Remember the Removal Bike Ride was held in 1984, and in 2009 the leadership program resumed. Each year cyclists learn about Cherokee history, language and culture while gaining a deeper understanding of the hardships faced by their ancestors who walked the Trail of Tears. During the journey from Georgia to Oklahoma, Remember the Removal Bike Ride participants visited historical landmarks that were important to Cherokee people, including Blythe Ferry in Tennessee, which was the last part of the Cherokee homeland walked by the ancestors before beginning their journey into Indian Territory. They also visited Mantle Rock in Kentucky, which provided shelter to many Cherokees as they waited for safe passage across the frozen Ohio River. This year, Cherokee Nation Businesses Executive Vice President Chuck Garrett, an avid cyclist, also joined the Remember the Removal cyclists during a portion of the ride. Of the estimated 16,000 Cherokees forced to make the Trail of Tears journey to Indian Territory 180 years ago, around 4,000 died due to exposure to the elements, starvation and disease. Courtney Cowan, 24, Kansas, Okla.
Nolan Arkansas, 18, Wolfetown, N.C.
Brooke Coggins, 23, Birdtown, N.C.
Darius Lambert, 17, Wolfetown, N.C.
Seth Ledford, 18, Wolfetown, N.C.
Lori Owle, 47, Birdtown, N.C.
Jan Smith, 62, Yellowhill, N.C.
Ahli-sha Stephens, 34, Birdtown, N.C.
Bo Taylor, 48, Big Cove, N.C. The 2018 Remember the Removal Bike Ride is chronicled on Facebook at www.facebook.com/removal.ride and on Twitter and Instagram with the hashtags #RTR2018, #RememberTheRemoval and #WeRemember. The Office of National Drug Control Policy recently issued $2.74 million in enhancement grants through the CARA Act of 2016 to current and former Drug-Free Communities programs. 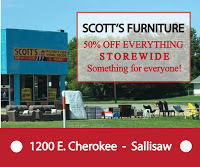 The Sallisaw NOW (New Opportunities Working) Coalition is one of only two Oklahoma organizations that received a grant. The NOW Coalition received a three-year grant for $150,000, or $50,000 a year. 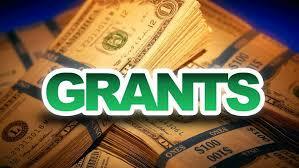 The grant is through the Comprehensive Addition and Recovery Act (CARA). Amy Edwards, prevention specialist with the Now Coalition, said this is the first year the coalition has been awarded the grant. Plans are to use the funds to purchase two additional prescription drop boxes and to continue the fight against opioid addition. The coalition’s priorities are prescription drug abuse prevention, alcohol awareness and underage drinking prevention, nutrition, physical activity and tobacco control. The governor last week held a ceremonial bill signing for House Bill 2177, which will allow the display of the Ten Commandments alongside other historically significant founding documents such as the U.S. or Oklahoma Constitution, the Declaration of Independence, the Bill of Rights, the Magna Carta or others in state buildings, public schools or on other public property. The governor signed the bill into law in May, but held the ceremonial signing to allow myself and the bill’s other authors and co-authors to attend and celebrate this significant legislation. Also in attendance was noted historian and my friend David Barton, who helped with historical research and provided documents to support this measure. 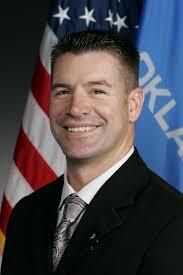 I also want to thank Sen. Mark Allen who co-authored this bill in the Senate. I greatly appreciate him working so hard to get the bill passed in the Senate. Frank Cargill, the superintendent of the Oklahoma Assemblies of God, was present as well. It was a long fight to get this legislation passed and signed into law. I’m unsure why opponents fought so hard against this. Should we not teach our children in school that they should kill, steal or lie? Should it be against the law to teach them to obey their father and mother? The facts are the Ten Commandments have been part of our nation since its inception. They are deeply imbedded in our national culture and a basis for our nation’s laws. The display of the commandments is both legal and historical. The commandments had as dramatic an impact on the founding of our nation as the Declaration of Independence, the Constitution, and the Bill of Rights They have been displayed in U.S. institutions since the very founding of our nation. The fact that some may not agree with all of the commandments does not mean they shouldn't be displayed, any more than the fact that not everyone agrees with all pf the protections granted by the Bill of Rights would prohibit its display. I’m thankful this bill was signed in to law, and I’m thankful we can recognize the important historical significance the Ten Commandments have on our great nation and on the state of Oklahoma. We must never forget the principles on which our nation was founded. Allowing the display of the Ten Commandments will help us remember. 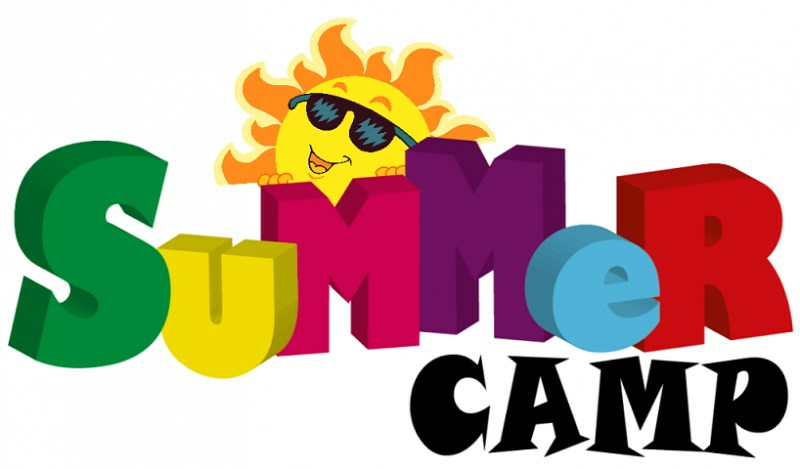 Dwight Mission is offering a free summer camp July 1 through 7 for families who may not be able to afford this summertime tradition. The camp is for youngsters in grades 3 through 9, and is funded totally by scholarships, said Leigh Woodruff, the mission’s guest group director. Activities slated for camp week include games, swimming, arts and crafts, Bible study, archery, singing, dancing, canoeing, praying, worship services, and making friends. For more information or to register for the camp call 918-775-2018 or email leigh@dwightmission.org. More information is also available on the mission’s website at www.dwightmission.org. up Marble City hill on June 30. June 30 is a happening time in Sequoyah County, with Marble City Mayhem just one of the events planned. The 14th annual Marble City Mayhem and Fireworks Show is a family-oriented fundraising event featuring a veterans’ military ceremony, food, live music, kids’ games, inflatables for the kids, face painting, and a free fireworks show sponsored by St. Clair/US Lime. The Car Show and Speed Challenge is back by popular demand and is an event like none other in the county. Beginning at the stop sign in downtown Marble City, drivers and vehicles registered for the event will accelerate up the Marble City hill for about one-eighth of a mile. The police chief will clock the vehicle and radio the speed back to the master of ceremonies at the bottom of the hill. The speed to beat is 116 miles per hour! The winners will be crowned Top Speeders! The veterans’ military ceremony will open the festivities at 9:30 a.m.
Other events include a horseshoe tournament starting at 12:30 p.m., and a performance by Matt Garland and Shotgun Reunion from 7 to 9 p.m. The free fireworks show will conclude the festival at dark, or about 9:15 p.m.
For more information contact MarbleCityFestival@gmail.com or call 918-315-2583. 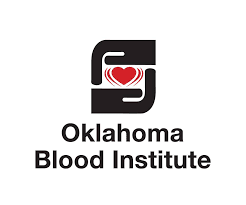 The Oklahoma Blood Institute has a new adventure in store for donors who give blood to help patients in local hospitals! · Garden Walk Apartments Sallisaw - Friday, June 29, 9 a.m. to 1 p.m.
Science Museum Oklahoma offers hundreds of hands-on exhibits, daily live chemistry and physics shows, art galleries, the chance to explore the stars in the Kirkpatrick Planetarium and much more in the museum’s 350,000 square feet. Safari Joe’s H2O features the new Reptile Rush Slides & Raptor Rapids Water Roller Coaster as well as one-of-a-kind reptile and animal attractions. Only ten percent of people in the United States who are eligible to give blood actually do. Blood donation takes just about an hour, and each donation can save the lives of up to three patients. As a non-profit blood center, Oklahoma Blood Institute’s donors provide every drop of blood needed for patients in more than 160 hospitals, medical facilities and air ambulances statewide. Approximately 1,200 volunteer blood donors are needed each day to maintain the supply. Here comes July 4th and the best of all summer holidays offers a bang up slate of events for entertainment in Sequoyah County. Events kick off on June 30 with both Marble City Mayhem and Roland’s Iron Mountain Festival. The 14th annual Marble City Mayhem and Fireworks Show is a family-oriented fundraising event featuring a veterans’ military ceremony, food, live music, kids’ games, inflatables for the kids, face painting, a car show and speed challenge, and a free fireworks show sponsored by St. Clair/US Lime. The veterans’ military ceremony will open the festivities at 9:30 a.m. Other events include a horseshoe tournament starting at 12:30 p.m., and live music from 7 to 9 p.m. The free fireworks show will conclude the festival at dark. The Roland Area Chamber of Commerce sponsors the Iron Mountain Festival that runs from 5 to 9 p.m. on June 30, with the fireworks show at dark. The festival includes free entry to the town swimming pool, a car show, food and craft vendors, inflatables and games, a photo booth, and door prizes. 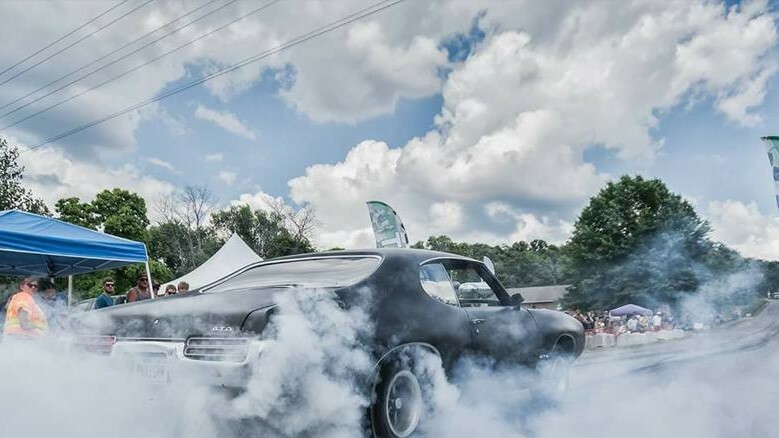 War Pony will play live music from 6:30 to 9:30 p.m.
For information on the car show call Dave Phelps at 918-774-2088; for events information call Dave Richards at 479-414-1226; and for vendor information call Cody Click a 479-420-3024. 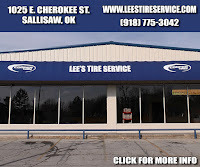 Sallisaw activities kick off on Saturday with the 3rd Annual Fourth of July Weekend Sallisaw Oklahoma Cruise Night from 5 to 10 p.m. For more information call or text 918-315-7914. 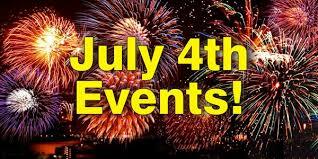 The Sallisaw Chamber of Commerce completes holiday activities with the annual fireworks show at dark on July 4. The show will be held at Sallisaw High School. Vian’s annual Fireworks Extravaganza is July 3, sponsored by the Vian Community Foundation. The fireworks show will be preceded at 8 p.m. by the presentation of Vian’s Favorite Sons and Daughters awards at St. John Stadium. A Pig in the Park free cookout will begin at 5 p.m. July 4 in the Webbers Falls Park, hosted by area churches. The fireworks show, sponsored by the town and the Webbers Falls Fire Department, will begin at dark. At Lake Tenkiller, the Greater Tenkiller Area Association (GTTA) will present the Lake Tenkiller Fireworks Extravaganza at dusk (9:30 p.m.) on July 4. They recommend the best viewing is towards the dam. George Harris, GTAA board member, said the fireworks show at Lake Tenkiller is always a sight to behold and is a great way for people and families to enjoy a quality display. In Fort Smith the July 4 celebration begins at noon in the Harry E. Kelly Riverfront Park with a car show, live music, and concessions. The Mayors 4th of July Celebration concludes at 9:30 p.m. with fireworks over the river. The phrase invites us to remember U.S. fighting men and women both now serving and the veterans who served in the past. But how many Americans realize that some veterans, and their families, are currently, or on the verge of being, homeless. The fact that the warriors who fought for the freedoms to be celebrated on July 4 may not have a home prompted the Veterans Administration to organize the Supportive Services for Veteran Families, or SSVF. The grant program is managed though Ki Bois Community Action in 24 counties in southeast Oklahoma. Louise Musselman of Sallisaw is one the case managers for the area, and currently has a case load of 13 veterans and their families. “It’s amazing to me how many veterans need help,” Musselman said. 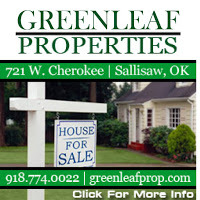 Musselman recently helped a veteran, his wife and four children find a place to live in Muskogee. Another case involved a 70-year-old veteran who was taking care of his 90-plus-year-old father. When the father died, the 70-year-old nearly lost his home. That case was concluded happily with the veteran now in his own home. Musselman explained that many veterans who spent most of their adult lives in the military left the chores of daily living up to the military. When they retire or leave the service, they sometimes have no experience managing finances, housing, utilities, etc. Consequently some become homeless. Musselman said the SSVF assistance is considered short term, but the program puts the veteran and his or her family in touch with other organizations that can provide long-term help. The SSVF can provide short-term rent, utility payments, and some household goods, etc. To qualify for the services, the veteran must be the head of the household and meet other certain requirements. They must have identification, their DD214 (proof of service), their veteran’s health card, Social Security card and tribal ID if appropriate. To be eligible for SSVF, veteran families must be low income and be either homeless or imminently at risk of homelessness. -Supportive services to very low-income veteran families in or transitioning to permanent housing. -Community outreach related to veteran’s needs and program goals. -Community and veteran specific services and resources to benefit participant. No veteran will be turned away. If a veteran doesn’t qualify, they will be referred to other services or programs. Musselman said the program does have limitations. It cannot provide the veteran and family with some simple items, like a coffee pot, a lamp, a shower curtain. “But we are more than happy to take donations,” Musselman said. Veterans really appreciate hygiene items and simple things like a notebook and pens. Anyone who would like more information about the program or who would like to make a donation may contact Musselman at her office in Muskogee at 918-681-7525 or on her cell phone at 918-931-1474. Voters will go to the polls Tuesday for the June 26 primary election, but early voting will be available Thursday and Friday, said Cindy Osborne, Sequoyah County Election Board secretary. Osborne said early voting will be available at the election board office in Sallisaw from 8 a.m. to 6 p.m. June 21 and 22. 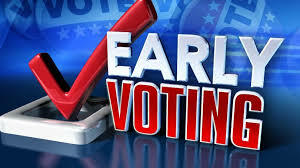 Early voting will also be available on June 23, (Saturday), from 9 a.m. to 2 p.m.
On Tuesday, polls are open from 7 a.m. to 7 p.m., but anyone in line at 7 p.m. will be allowed to vote. Lines are possible at peak voting times. Wait times are usually shortest at mid-morning and mid-afternoon. Anyone who needs to look up their polling place, verify their registration information, or view a sample ballot may do so on line. The Online Voter Tool can be accessed on the Oklahoma State Election Board website at www.elections.ok.gov. Those who vote by mail may also check the status of their ballot using the Online Voter Tool. Sample ballots are also available at the county election board office. Oklahoma law requires every voter who votes in person at the precinct polling place or during early voting at the county election board to show proof of identity before receiving a ballot. There are three ways for voters to prove their identity under the law (only one proof is required). They may show a valid photo ID issued by a federal, state or tribal government, or show the free voter identification card issued to every voter by the county election board, or sign an affidavit and vote a provisional ballot. If the information on the affidavit matches official voter registration records, the ballot will be counted after election day. Physically disabled voters who cannot enter the polling place, need help marking their ballots, blind or visually disabled voters and illiterate voters may be assisted by a person the voter chooses. In all cases, a person providing such assistance may not be the voter’s employer or an agent of the employer or an officer or agent of the voter’s union. A person proving assistance also must swear or affirm that the voter’s ballots will be marked in accordance with the voter’s wishes. Alternatively, all blind, visually impaired, and physically disabled voters in Sequoyah County may use the audio-tactile interface (ATI), a feature offered on all Oklahoma voting devices, to vote privately and independently, either at the election board during early voting or at the polling place on election day. Voters who have moved since the last election. But who have not transferred their voter registration to their new address, may do so on election day by going to vote at the polling place where their registration has been in the past. While voting, they may fill out a form instructing the county election board to transfer their registration to the new address before the next election. 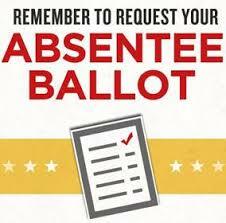 Those who become physically incapacitated after 5 p.m. on June 19 may still request an emergency absentee ballot. Those who might qualify for an emergency absentee ballot should contact the county election board office at 918-775-2614 as soon as possible for more information. Any violation of election law will be reported to the proper law enforcement authorities. Electioneering is not allowed within 300 feet of a ballot box. It is also unlawful to remove a ballot from the polling location, possess intoxicating liquors within half a mile of a polling place or to disclose how you voted while within the election enclosure. For more election information visit www.elections.ok.gov. Diver Blake Cox assists with recovery of the stolen Tahoe. 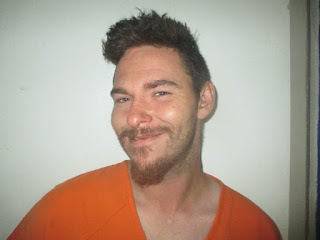 Early Tuesday morning Sequoyah County Sheriff's Deputies arrested 28-year-old Cody Reynolds of Claremore in connection with two vehicle thefts and a home burglary that occurred south of Vian. At approximately 03:00 a.m Tuesday, June 19 Sequoyah County Sheriff’s Deputies and Vian Police officers responded to a reported home burglary and vehicle theft. Upon investigation, authorities discovered that the suspect had crashed his vehicle in a wooded area south of Vian. The suspect had then gone to a nearby residence and stolen a vehicle. The suspect then traveled down the road approximately a mile and crashed this vehicle as well. The suspect then went to another nearby residence and entered this home without permission while the family slept inside, stole several items, including a firearm, laptop computer and cash and loaded them into the homeowner's 2017 Chevy Tahoe which was parked in the victim’s garage. The suspect then started the vehicle and backed through the garage door and left the property. The OnStar system was then used by the victims and deputies to track the stolen Tahoe’s location. The OnStar GPS showed that the vehicle was at the Vian refuge boat ramp. Deputies went to the location and found the suspect lying in the roadway near the boat ramp. He was still in possession of the victim’s gun and was soaking wet. Sheriff Larry Lane arrived on scene and contacted Vian resident and former fire chief, Ed Barton, who was fishing near their location. Mr. Barton came to the location and used his boat mounted sonar to locate the stolen Tahoe. 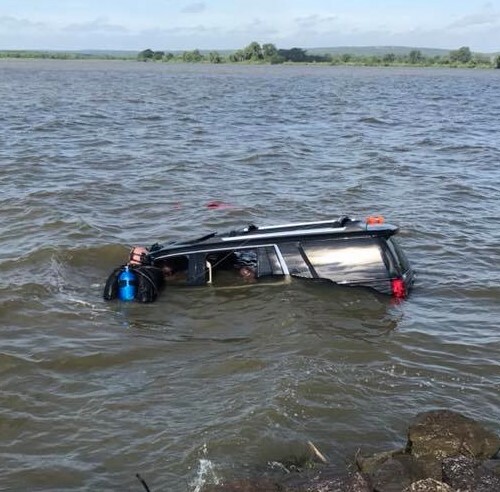 Emergency management director, Steve Rutherford then contacted diver Blake Cox to assist with the recovery of the Tahoe. It was initially thought that there were two suspects involved, but upon further investigation it has been confirmed that Reynolds was alone the entire time. Reynolds is being held without bond at this time, pending numerous official charges. Sheriff Lane stated, “This could have easily turned out much worse for everyone involved. These victims were blessed that they weren’t awaken when the suspect entered their home. I'd like to thank Deputies Stone, Neighbors, Gabbert and Choate as well as the Vian police department for their quick response. I’d also like to thank Ed Barton, who’s always willing to help when we call, and volunteer diver Blake Cox for coming out to help. Investigators Goode, Wheat and Frizzell are still conducting interviews and processing evidence which will probably take another day to wrap this case up, great work by all involved." 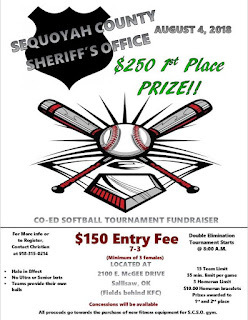 The Sequoyah County Sheriff's Department has announced that the department will be hosting a co-ed softball tournament fundraiser on Aug. 4 at the McGee fields behind the KFC in Sallisaw. The fundraiser is to raise money to purchase gym equipment for the department. Details are on the attached flyer. To pay the entry fee, questions, or to make a donation contact Christian at the sheriff's department at 918-775-1213. The double-elimination tournament will start at 8 a.m., and the entry fee is $150. First place team will receive $250. 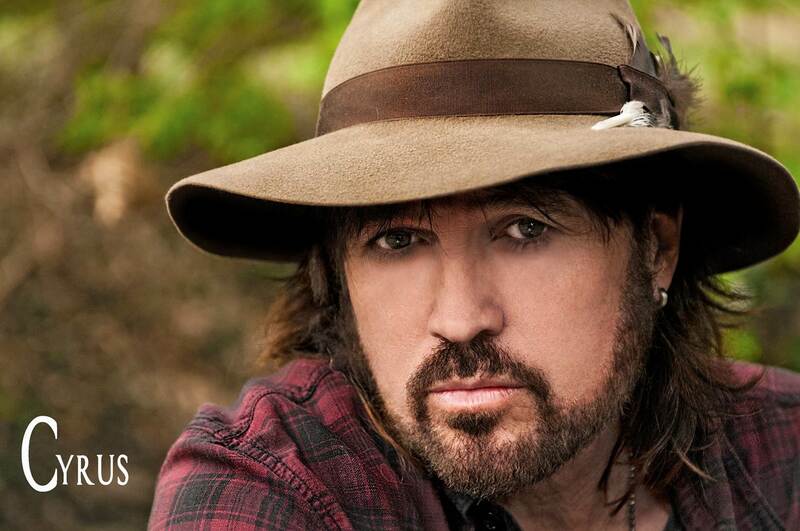 Triple-platinum selling country music phenomenon Billy Ray Cyrus is set to perform at Lee Creek Tavern at Cherokee Casino and Hotel Roland on June 29. Cyrus takes the stage for the free show at 8 p.m. The artist exploded onto the country music scene in 1992 with “Achy Breaky Heart,” which quickly reached triple-platinum RIAA status. The hit single about heartbreak became an international sensation, inspiring its own line dance. Other fan favorites include the singles “Could’ve Been Me,” “She’s Not Cryin’ Anymore,” “In the Heart of a Woman,” “Busy Man” and “Ready, Set, Don’t Go,” the song that he teamed up with his musical daughter, Miley Cyrus. Cyrus’ debut album, “Some Gave All,” was certified nine times platinum in the United States, selling more than 4,832,000 copies. The album earned the longest time spent by a debut artist at No. 1 on the Billboard 200 and was also the first debut album to enter No. 1 on the Billboard Country Albums chart. Cyrus has released a total of 14 studio albums, including 1993’s “It Won’t Be the Last” and 1994’s “Storm in the Heartland,” earning US platinum and gold status, respectively. A total of 10 compilation albums have also been released in his name, with “The Best of Billy Ray Cyrus: Cover to Cover” reaching No. 23 on the US Country Charts. He has appeared in films such as “The Love Boat” and “Mulholland Drive.” He accepted the lead role for the medical drama “Doc” in 2001. The show ran until 2004. Cyrus’ newest album, “Set the Record Straight,” was released late last year. For more information on Cyrus, visit www.billyraycyrus.com. Drug Court participants Chasidy Patton and Jeremy Clark, on the left, held a lunch fundraiser for their graduation project on June 15 and donated all of the proceeds raised to the Sallisaw Special Victims Unit. Accepting the donation are John Owens, center, with the Sallisaw Police Department, Amy Edwards and Taylor Chadwell, both with the Sallisaw NOW Coalition. Voters in Sequoyah County who want to have absentee ballots mailed to them for the June 26 primary election should apply now, County Election Board Secretary Cindy Osborn said. Although the Sequoyah County Election Board can accept applications for absentee ballots until 5 p.m. on June 20, Osborn urged voters who want to vote by absentee ballot to apply early. Absentee ballot application forms are available at the county election board office located at 110 E. Creek St. in Sallisaw. An online version of the form can be filled out and submitted electronically at: www.elections.ok.gov. A print form can also be downloaded at that address. • Military personnel and residents of the county living overseas and the spouses and dependents of each group are eligible receive absentee ballots. These voters may apply only by mail, fax, or by email. Military personnel should contact the Voting Service Officers in their units for application forms and additional information or visit the Federal Voting Assistance Program website (www.fvap.gov/oklahoma) for more information and instructions. Residents of Oklahoma living overseas can obtain the same materials from any U.S. military installation and from U.S. Embassies and Consulates as well as on the FVAP website.